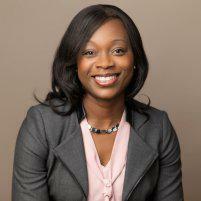 Dr. Kanayochukwu J. Anya always appreciates feedback from her valued patients. To date, we’re thrilled to have collected 7 reviews with an average rating of 5 out of 5 stars. Please read what others are saying about Dr. Kanayochukwu Anya below, and as always, we would love to collect your feedback. One on one personalized care. Great communication! Dr.Anya was the Best! She is patience she takes time to explain and answer questions. Dr Anya gave me my life back. At 22 I no longer loved myself & I could hardly look in the mirror. But on 2/28/18 Dr Anya performed the gastric sleeve surgery on me & I have already had amazing results! Dr Anya is also very easy to talk to & makes herself very available to answer any questions I’ve had both pre-op & post-op. She is very personable & I can’t thank her enough for helping me get my life back! I had emergency gallbladder surgery and Dr. Anya had a very calming spirit and I knew right away everything would be ok. My husband said she was very detailed about what to expect after surgery and he was super impressed with her. If I ever need surgery again she’s the doc for me. Dr Anya is very kind and caring. Explaining in detail procedures and results. I would recommend her to anyone. Thank you for you work!